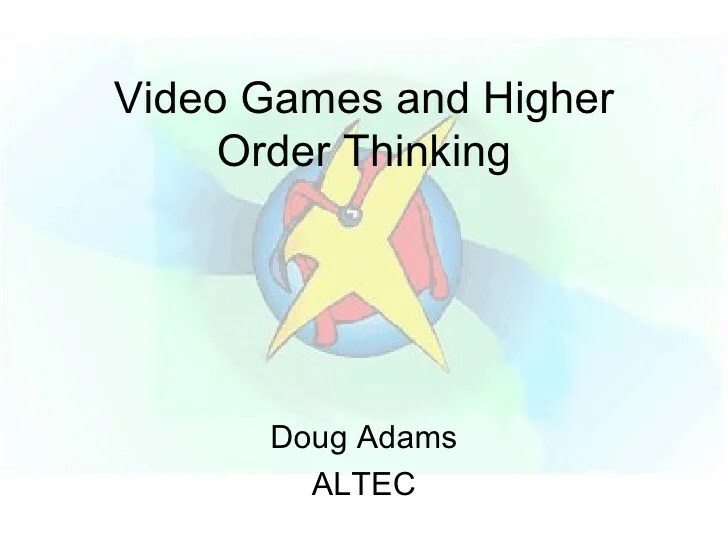 Doug Adams provides good observations and great quotes on video games and Higher Order Thinking Skills. Posted on June 21, 2013, in Uncategorized and tagged Bloom's taxonomy, Critical thinking, Educational games, Games, Higher order thinking skills, Video game. Bookmark the permalink. Leave a comment.